Hera is a playful and loving Goldendoodle from Los Angeles, California. 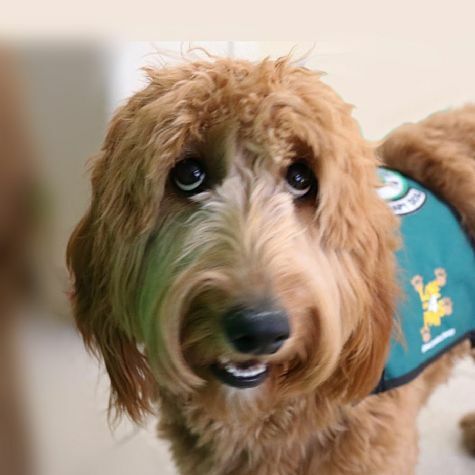 Her calling was definitely to be a therapy dog as she loves making people happy and definitely doesn't mind the attention! When she isn't volunteering, Hera loves going to the dog park or tormenting her sister Juno, a Savannah cat. Hera also loves tearing apart her toys and getting her belly rubbed by anyone willing to rub it. She loves her job with Love On 4 Paws-it's absolutely her favorite thing to do!